Today I am pleased to have an interview with author Donna Douglas. We met at the RNA conference in Penrith and I was fascinated by the background research she has been doing for her books. Donna’s novel The Nightingale Girls is published by Arrow on 16 August 2012. 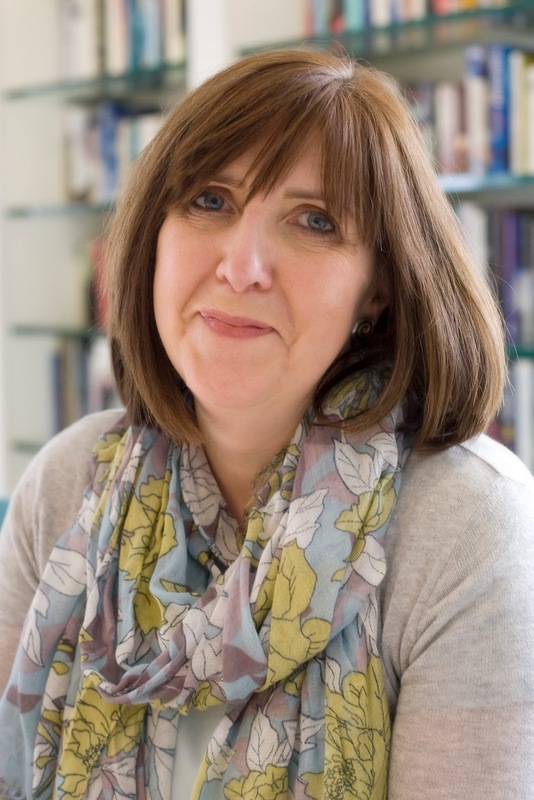 Donna’s blog can be found here She can also be found on Facebook here and on Twitter as @donnahay1. I asked Donna a few questions. Tell us about the fascinating research you have done for The Nightingale Girls. The Nightingale Girls is set in an East London Hospital in the 1930s, so there was a lot of research to be done! I started by reading all the nursing biographies I could get my hands on to give me an idea of the day to day lives of nurses during that period. I then did lots of interviews with retired nurses. I had one really fun afternoon with half a dozen ladies who were amazing and brought some wonderful photos and memorabilia to show me. We had tea and cakes and there was lots of laughter (although some of the stories they told me were unprintable!). I was very lucky in that the Royal College of Nursing has an extensive archive of oral histories going back to the early 20th century, so I spent several days going through that, and through other archives held by various Leagues of Nurses. Listening to the nurses’ stories really helped bring my own characters to life. I also trawled the internet for various medical books of that period, which are utterly fascinating. My husband says I must be the only person in the world whose bedside reading consists of illustrations of 1930s bedpans! How do you put yourself into another era for your writing? It’s difficult, because you really have to learn to think like someone from that period. Attitudes have changed so much over the generations, and things that we take for granted, like divorce and living together and having children outside marriage, would have been utterly shocking back in those days. I did lots of reading to make sure all the historical details were correct and I visited the Bethnal Green Local History archives to read newspapers of that period. Research like that gives you an insight into people’s day to day lives that you wouldn’t get from a history book. For instance, I discovered dozens of reports of road accidents in that area during the 1930s. It seemed odd, until it dawned on me that motor cars were relatively new on the streets of the East End and people just weren’t used to them! On a darker note, I also found many disturbing accounts of suicide. That’s because in the days before the welfare state, old or sick people would end their lives rather than be a burden to their families. That’s what I mean by a different attitude. Have you got a writing routine and a favourite place to write? I wish! My ideal is to start writing early in the morning and go on until lunchtime. In the afternoon my brain tends to melt and I’m not nearly so productive. But that’s only the ideal – most of the time other stuff gets in the way and I end up running errands when I should be writing. I work best in my office, which is a very grand term for the partitioned-off bit at the back of the garage. It suits me because the walls are blank and the window is tiny, so there are minimal distractions. I’m not very focused when I’m working, unfortunately! Will there be a sequel to The Nightingale Girls? Yes, there will. I’m currently working on The Nightingale Sisters, which is due to be published next spring. As well as featuring the three main characters from The Nightingale Girls, it also picks up the stories of some of the ward sisters who featured in the current book. I’m hoping to write more Nightingale stories in the future – I love that world and everyone in it! 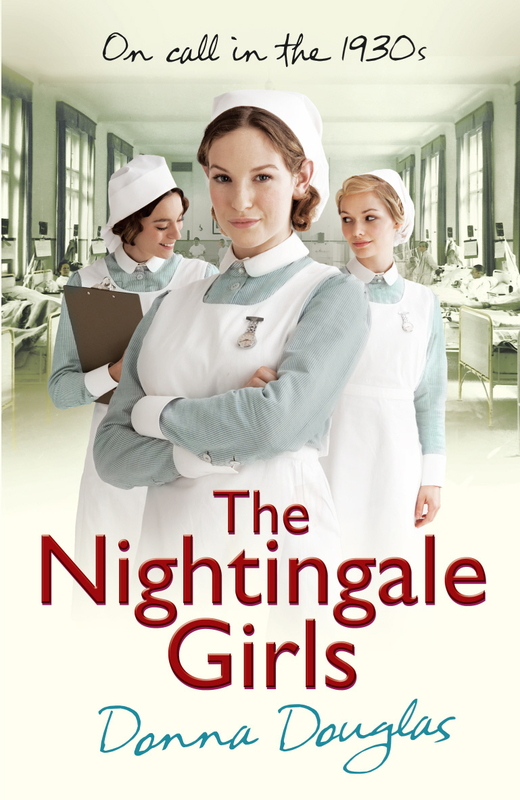 The Nightingale Girls is set in an East End Hospital in the 1930s, and tells the stories of three girls from very different background who sign up as trainee nurses. There’s tough East End girl Dora, who wants to make a better life for herself and escape the clutches of her evil stepfather. At the other end of the social scale is reluctant debutante Millie, who sees nursing as her chance for independence. And finally there’s timid Helen, who’s only training as a nurse to please her domineering mother. The Nightingale Girls follows them through their first year as they get to grips with bedpans, broken hearts and the tough life of a trainee nurse. Like being a nurse, there is a lot of drama and heartache, but I hope there are lots of laughs too. Dora wiped her damp palms on her skirt. She was sweating inside her coat, but she didn’t dare take it off in case Matron noticed the frayed cuffs of her blouse. “Well – “, she began, then stopped. Why did she think she could ever be a nurse? Living on the other side of Victoria Park from the Nightingale, she had often seen the young women coming and going through the gates, dressed in their red-lined cloaks. For as long as she could remember she’d dreamed of being one of them. But dreams like that didn’t come true for the likes of Dora Doyle. Like any other East End girl, her destiny lay in the sweatshops or one of the factories that lined the overcrowded stretch of the Thames. So she’d left school at fourteen to earn her living at Gold’s Garments, and tried to make the best of it. But the dream hadn’t gone away. It grew bigger and bigger inside her, until four years later she had taken her courage in her hands and written a letter of application. “What have you got to lose?” Mr Gold’s daughter Esther had said. “You’ll never know if you don’t try, bubele.” She’d even lent Dora her lucky necklace charm to wear for the interview. She could feel the warm metal sticking to her damp skin beneath her blouse. Dora hoped the hamsa’s powers weren’t just extended to Jews. She needed all the help she could get. She saw Matron looking at her hands and quickly knotted them in her lap so the woman wouldn’t see her bitten down nails, or the calluses the size of mothballs that covered her fingers. ‘Grafter’s hands’, her mother called them. But they didn’t look like the right kind of hands to soothe a fevered brow. Dora dropped her gaze to stare at the herringbone pattern of the polished parquet. She wanted to tell this woman how she took care of her younger brothers and sisters, and had even helped bring the youngest, Little Alfie, into the world two years ago. She wanted to explain how she’d nursed Nanna Winnie through a bad bout of bronchitis last winter when everyone thought she’d had it for sure. Most of all, she wanted to talk about Maggie, her beautiful sister who’d died when Dora was twelve years old. She’d sat beside her bed for three days, watching her slip away. It was Maggie’s death more than anything that had made her want to become a nurse and to stop other families suffering the way hers had. But her mother didn’t like them talking about their personal business to anyone. And it probably wasn’t the clever answer Matron was looking for anyway. “Nothing,” she said, defeated. “I’m nothing special.” Just plain Dora Doyle, the ginger haired girl from Griffin Street. She wasn’t even special in her family. Peter was the eldest, Little Alfie the youngest. Josie was the prettiest and Bea was the naughtiest. And then there was Dora, stuck in the middle. Dora felt a surge of panic. She’d let herself down. She could feel the moment ebbing away, and with it all her hopes. She would never wear the red-lined cloak and walk with pride like those other girls. It would be back to the machines at Gold’s Garments for her until her eyes went or her fingers became so bent with rheumatism she couldn’t work any more. Esther Gold’s words came back to her. What have you got to lose? “Give me a chance,” she blurted out. Dora could feel her face flaming to the roots of her hair, but she had to speak up. “I know I don’t have as much proper schooling as the other girls, but I’ll work really hard, I promise.” The words were falling over themselves as she tried to get them out before she lost her nerve. “You won’t regret it, I swear. I’ll be the best nurse this place has ever seen. Just give me the chance. Please?” she begged. Matron stared at her so hard Dora felt her heart sink to her borrowed shoes. Thank you for the interview Donna. The Nightingale Girls can be found on Amazon here. I can’t wait to read the book and wish you every success with it. If you have any questions for Donna then please comment below. Really enjoyed reading that – and the book sounds great too. On the TBR list! Thank you for the kind comments – and thank you Morton for allowing me to be part of your fab blog! I hope release day went well. Interesting interview – so glad I live now with the NHS & welfare state. How awful to feel suicide was the only option to being a burden on your family. Hi Alison – Glad you enjoyed it. My guest author posts are definitely the most viewed on my blog, even ages after they have been posted. Mx.